Both of your quilts are lovely. Enjoy your SAL! 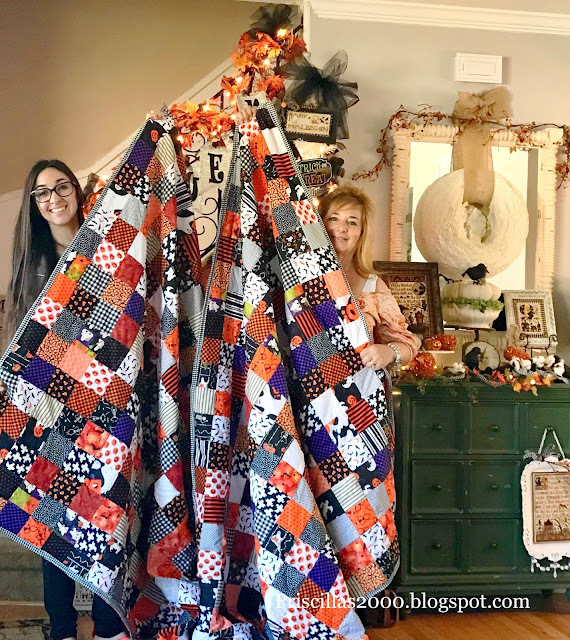 Love the quilts!!! Thanks for reminding me we are starting the winter stitching today!! Happy Birthday Chelsea!!! 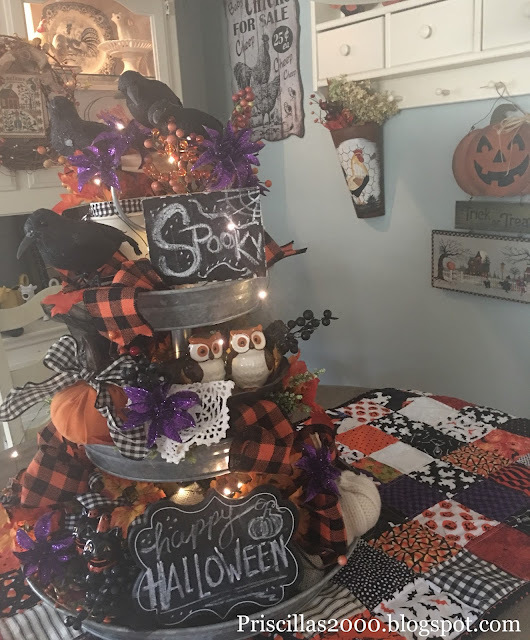 Am I crazy but seeing the picture of the Halloween quilts and the cute decorations makes me miss fall already. I wish it didn't go by so fast! The Quilts are Lovely...Makes me want to do one.Little Ronnie makes me smile..
Love both your quilts. You inspired me to make a lap quilt for a dear lady for Christmas. Until you buy your walking foot (which I need to do as well), try lengthening your stitch to 4. It was so much easier with the longer stitch. Might just do the trick for you. 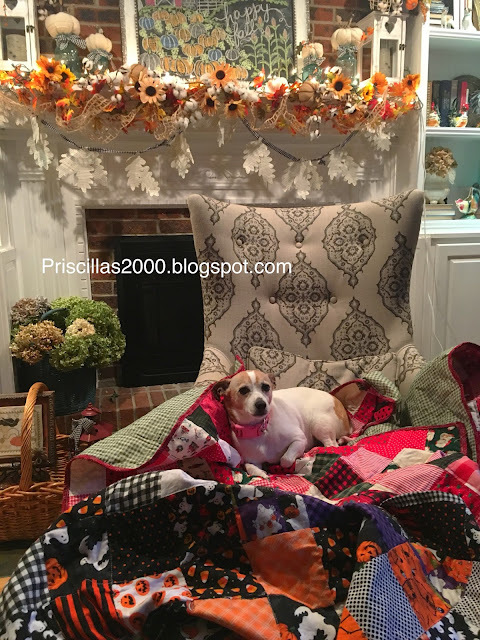 Thanks for sharing all your terrific stitching and quilts. I agree with Holly, Fall is my time of the year too:). Perfect quilts to snuggle in, I'm sure Ronnie will agree:). 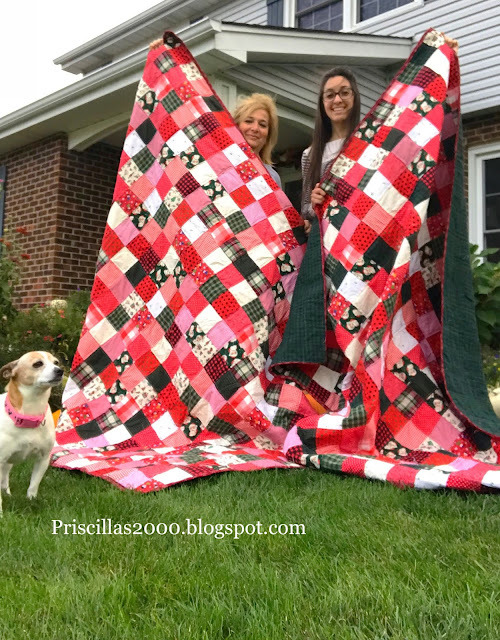 Is there a Spring and Summer quilting bee in the new year?